Romy Camargo grew up in Crystal River Florida. Romy enlisted in the Army in 1995 and Retired with the Rank of Chief Warrant Officer 3. While conducting a combat operation on September 16, 2008, his detachment was viciously ambushed. During the ambush, Romy sustained a gunshot wound to the back of the neck. The gunshot wound paralyzed him from the neck down. His medic Steve Hill who was the Lead Trainer at Stay In Step was able to stabilize him while his Team ODA 7115 prepped the Battlefield to be medically airlifted out of the Area. Once he arrived at Walter Reed Army a Medical Center he was treated for the gunshot wound and received an operation to help stabilize his neck. At this time the doctors were able to determine the nature of his injury, his C3 vertebra had been shattered and was extracted. His breathing was tied to a respirator and he was paralyzed from the shoulders down. He was then transferred to James A. Haley VA hospital in Tampa, Florida and was an inpatient for 18 months. 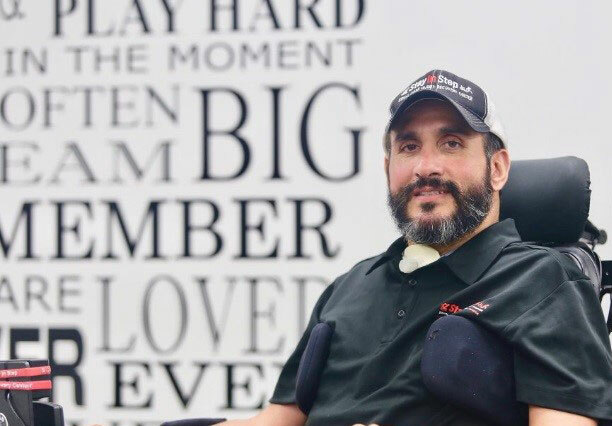 Romy now lives in Tampa, FL where he is pursuing a furious pace rehabilitation and recovery five days a week and is the Founder of the Stay In Step Spinal Cord Injury Recovery Center. Romy’s major awards and decorations include: Legion of Merit, Bronze Star Medal with two Oak Leaf Clusters, Purple Heart, Meritorious Service Medal with one Oak Leaf Cluster, Army Commendation Medal, Joint Service Achievement Medal, Army Achievement Medal with two Oak Leaf Clusters, Afghanistan Campaign Medal, Special Forces Tab, Ranger Tab, Combat Infantry Badge, Master Parachutist Badge, Special Operations Combat Divers Badge and the Special Operations Combat Divers Supervisors Badge. Romy is dedicated to Taking a Step Forward Towards Recovery!! Gabriela Camargo is the Founder and Managing Director of the Stay in Step foundation . She grew up in Venezuela and she graduated from Law School in Caracas, Venezuela in 1998. She has over 10 years work experience within the administration and legal field. She has well developed skills in human relations/ interpersonal interactions. For more than 5 years she has been an advocate for the military and civilian spouses and family members of people with spinal cord injuries. 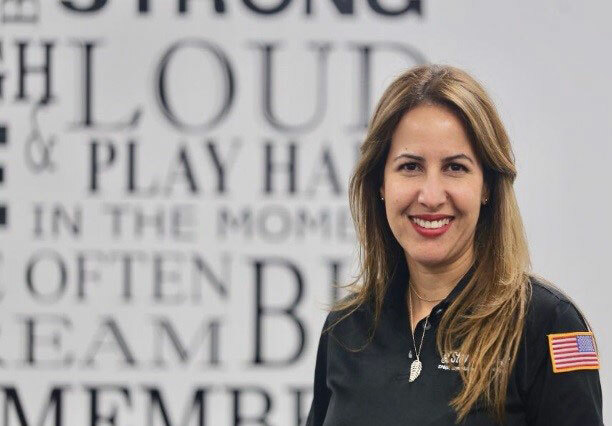 Her love, compassion, dedication and loyalty to her husband and her desire to help people with spinal cord injuries is the motivation to impulse this great project of the Stay In Step Center in Tampa. Her approach is not just manage and provide a service through Stay in Step , but also touches and changes peoples lives who are living with a spinal cord injury, sharing with those people’s an attitude of faith, hope and optimism during the process of rehabilitation and recovery. 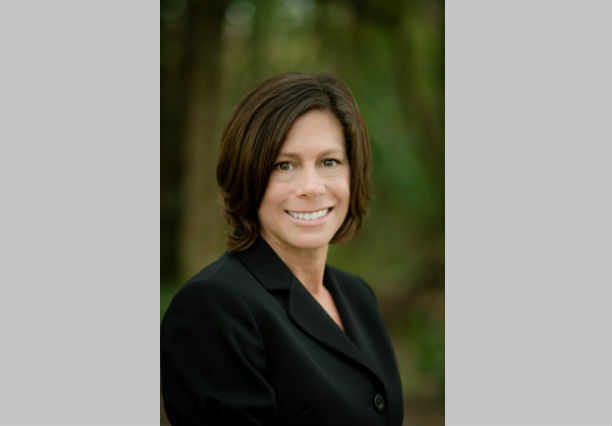 Mrs. Bermudez is the President and Founder of Strategic Business Solutions, a management consulting firm specializing in strategic business development, full spectrum proposal services, and organizational and human performance improvement. Mrs. Bermudez brings over 25 years of experience in the state and federal marketplace as well as with commercial and nonprofit clients of all sizes. She has supported a variety of industries from education and health care to manufacturing and services. Mrs. Bermudez has extensive experience working with extremely complex organizations and programs at the executive level. She routinely consults with C-Suite leaders, Public officials, General Officers, and Flag Officers. Mrs. Bermudez has served on the Boards of Examiners for the National Malcolm Baldrige Performance Excellence Program as well as the Florida Sterling Council, and she applies the Baldrige framework to her consulting engagements as well as in her own organization. Mrs. Bermudez is equally committed to giving back to the communities in which she lives and to causes she cares deeply about. She Chairs the Board of Directors and is a passionate advocate for Stay In Step Spinal Cord Injury Recovery Center, a Tampa-based, veteran-founded, nonprofit rehabilitation center that delivers long-term rehabilitative therapy to people with spinal cord injuries and traumatic brain injuries. She also commits her time and professional services to The Crisis Center of Tampa Bay, ReGroup Foundation, Mary and Martha House, and a number of other local non-profit organizations. Mark Coyle is the President of Bay Area Liquid Capital, which offers alternative commercial funding for small and medium-sized businesses in the Bay Area. Prior to following his entrepreneurial dream, Mark had a very successful business development career with some of the largest institutions in the world. In April 2016, Mark identified an opportunity to chase his life long dream and purchased Bay Area Liquid Capital. As an experienced leader in the finance industry, he has customized financial solutions for countless companies throughout the United States and Canada. He has a client centered approach and takes the necessary time to fully understand and build a customized solution to meet their needs. He is well known and respected throughout the finance community in Tampa Bay and beyond. Mark received his B.S. from Missouri State University in 2004. Shortly after graduation he relocated to the Tampa Bay area and has called it home since. Mark believes that business leaders have an obligation to give back to their community. Staying true to this belief, Mark has served on several boards and leadership positions with multiple non-profit organizations in his community. He has a passion for Veteran causes, both professionally and otherwise, non-profits dedicated to eradicating cancer, organizations dedicated to bettering the lives of children, animal welfare groups, and several non-profit professional organizations. 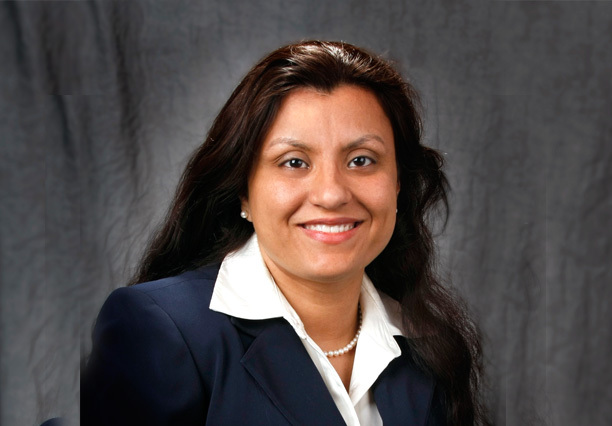 Dr. Roohi Ismail-Khan is a medical oncologist at the Moffitt Cancer Center in the new Cardio-Oncology Program and served 10 years in the Comprehensive Breast Program. She completed her Internal Medicine Residency at the University of South Florida and served as Chief Resident. She completed her Medical Oncology Fellowship at the H. Lee Moffitt Cancer Center as well as completed her MS in Clinical Research during her fellowship. Her research interests include reducing or eliminating long-term effects of chemotherapy and to improve quality of life in breast cancer patients. Her clinical research is also focused upon identifying high risk patient cohorts and minimizing cardiovascular side effects in patients receiving cardiotoxic therapy. She serves as the Co-Director of the USF/Moffitt Cardio-Oncology program. Dr. Ismail-Khan is also an active teacher and mentor for USF medical students, Internal Medical residents, and Medical Oncology Fellows. Dr. Khan’s family has resided in the Tampa Bay Area for the last 25+ years. Her husband, Dr. Nadim Khan was also trained in Cardiology/Electrophysiology at USF and he was an attending Cardiologist at the James A. Haley VA before going to the Florida Medical Clinic where he was a leader in Electrophysiology. They have four children and a lot of extended family in the area. On September 2, 2016, Dr. Khan was on his way to perform a pacemaker implantation at Florida Hospital Zephyrhills when a drunk driver collided with him (head on) causing a severe traumatic brain injury as well as multiple orthopedic injuries. He also suffered multiple intracranial and subdural hemorrhages, resulting in life threatening injuries as well as resultant stroke like symptoms. After being stabilized at Florida Hospital Zephyrhills, he was taken acutely to Tampa General Hospital trauma center. He was admitted to Neuro ICU and after three weeks, he awoke from his coma but remained in a minimally conscious state. In October of 2016, he was flown to the Shepherd Center to participate in their DOC (disorders of consciousness) program where he “emerged” in November 2016. Since then, he has been fighting for his recovery. Unfortunately, he has been in and out of acute Rehabilitation centers and his progress has been interrupted by late onset seizures. His most recent inpatient rehabilitation took place at TIRR (Texas Institute of Research and Rehabilitation). Two years post injury, he returned home to the Tampa area and our family was desperate for long term therapy. That is where we were introduced to Stay is Step and our path to continued recovery. The environment at SIS and the activity based therapy program has literally saved the family. The team at Stay In Step has stepped in and we are now able to lead our lives in Tampa. Without Stay in Step, we would have to relocate to a city where long term theory was available. As both a veteran and military spouse she has moved her family all over the country and is well versed in buying or selling homes and managing personal property. Her entrepreneurial spirit and first-hand experiences as a transient home owner called her to real estate over 12 years ago. During her career in real estate, she developed a passion for delivering first rate customer service and earned a strong reputation for artfully guiding her clients through the entire process with minimum stress and maximum results. With her husband’s retirement from a career in Special Forces they have decided to make Tampa their forever home after falling in love with our community over the last four years. After earning her commission from United States Military Academy in the US Army, Sunny served six years on Active Duty in Fort Bragg, NC (where she met her husband while jumping out of perfectly good airplanes) and Fort Belvoir, VA. She earned her Master’s in Corporate Communication which took her understanding of marketing to the next level. A lifelong competitor and fitness enthusiast she was recruited to play soccer at the West Point and broadened her athletic portfolio after graduation as avid competitive athlete in Adventure Races, Marathons and actively coaches and competes in CrossFit. Sunny was raised on a strong Christian foundation which serve as the bedrock of her personal and professional beliefs. She has a firm belief in service which leads her to spearhead philanthropic events in the Tampa Bay community and maintain and active membership in the Tampa Downtown Rotary Club. Chuck Reiche is the Senior Vice President for Corporate Business Development & Marketing for iGov Technologies, Inc. iGov is mid-tier systems integrator specializing in Defense Command, Control, Computers and Communications systems development for the federal government. Mr. Reiche has also owned and successfully exited multiple small business endeavors and currently serves on the Board of Advisors for an international artificial Intelligence technology startup company. Prior to joining iGov, Mr. Reiche served for 22 years in the U.S. Marine Corps, retiring as a Communications & Information Systems Officer and Defense Acquisitions Workforce Professional With over 30 years of technology management and leadership experience, Mr. Reiche specializes in the development and execution of strategic and operational plans to enable business growth. His expertise in strategic planning, new business identification, and organizational infrastructure development has enabled double-digit growth in start-ups, franchises and mid-tier organizations alike. Mr. Reiche is a graduate of The Ohio State University Fisher College of Business and holds a Master of Science in computer science from the Naval Postgraduate School. He holds master’s certificates in information systems and project management from Villanova University and PMP and DAWIA Level III Program Manager certifications. Dr. Boland is a board certified neurologist and is a Diplomate of the American Board of Psychiatry and Neurology. She completed fellowship training specializing in Movement Disorders at Duke University. She earned her medical degree from Des Moines University College of Osteopathic Medicine. Des Moines University has a rich osteopathic history and is one of the oldest osteopathic medical schools in the country. Following medical school, Dr. Boland completed internship and neurology residency at the University of Illinois College of Medicine/OSF Saint Francis Medical Center. Dr. Boland has a passion for improving patient’s quality of life. She enjoys establishing long-term relationships with her patients and educating them on ways to live a fuller life in the setting of neurodegenerative disease. 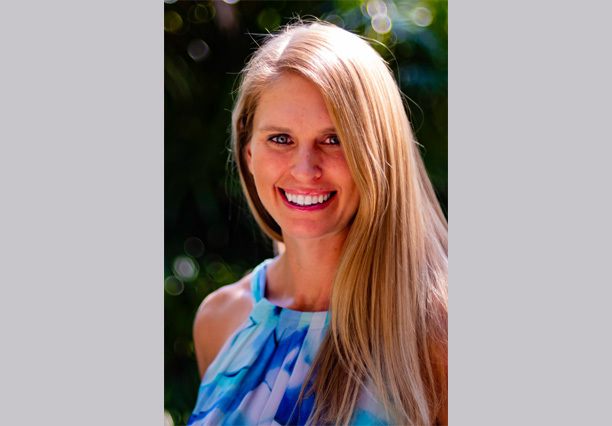 She started in healthcare as a Physical Therapist and received her Masters Degree in Physical Therapy from Andrews University in Berrien Springs Michigan. Prior to attending medical school, Dr. Boland practiced as a Physical Therapist for 10 years. She lives with her two children in Tampa Bay. Dr. Boland greatly appreciates all that metropolitan Florida coastal living has to offer. She enjoys the beach, running, scuba diving, mountain biking, cooking and spending time with family. 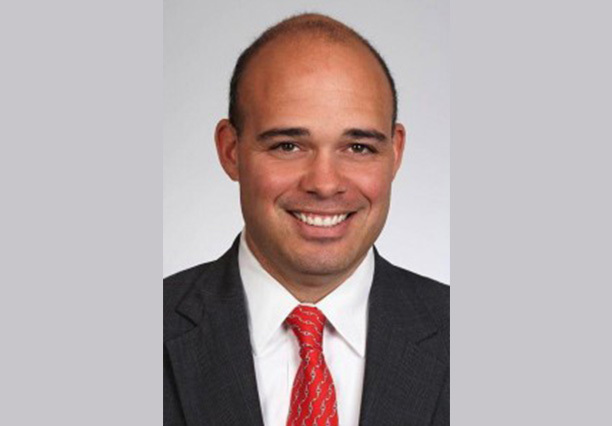 Jason D. Ledbetter is currently a leader of PwC’s Risk Analytics, Reporting and Automation team supporting Information Technology – Global Risk and Compliance. He joined PwC in 2014 supporting the PwC Assurance practice within the Engagement, Performance, and Quality (EPQ) team. Jason is recognized for his track record of bringing a high degree of energy and working collaboratively with dynamic teams to solve complex business and organizational problems, passion for winning, and desire to change the world for the better. Prior to joining PwC, Jason worked in a variety of leadership roles focused on global risk & control, cybersecurity, business transformation, and organizational strategy development for Fortune 500, government, intelligence and defense organizations. Jason brings a high degree of energy, passion, and experience working collaboratively with dynamic teams to solve complex business and organizational problems. He is a member of Business Executives for National Security (BENS). BENS is a unique nonprofit comprised of over 450 senior business and industry executives who volunteer their time and expertise to address the national security community’s most pressing challenges. Jason earned a B.S. in Political Science and M.S. in Public Administration – Emergency Management from Jacksonville State University and an MBA from the University of Alabama. He is also pursuing a Doctor of Science in Emergency Management from Jacksonville State University in Jacksonville, Alabama. He and his wife Jennifer have two children and reside in Westchase, Florida. Scott happened to be in D.C. when he heard about Romy being in the hospital. Scott joined a group of soldier friends who stayed in the hospital room in order to give Gaby a break. Each took shifts throughout the night watching over Romy. Scott remembers vividly one particular shift. He awoke for his 4 am shift and as he approached the bed he felt eyes staring at him. As he looked down, Romy was not only awake…but he simply said, “Scott, are you ok?” Of all things, Romy was more concerned about Scott than himself. Scott was immediately touched and vowed to stay by Romy’s side and support whatever mission he chose in his recovery. Scott realized as Romy progressed through his rehabilitation, the vision that he and Gaby had for creating a facility. When he heard this vision, he quickly understood that they were all on the same page when it came to “leaving tracks.” Scott immediately knew what he could do to help…he could bring the business structure to ensure the vision of Romy and Gaby could be brought to life. “While Stay in Step has local implications, its potential impact for helping other wounded veterans and civilians get back in the game is profound,” says Scott. In addition to his work with Stay In Step, Scott is also the Founder/CEO of Patriot Families, a non-profit dedicated to helping military families and wounded veterans. 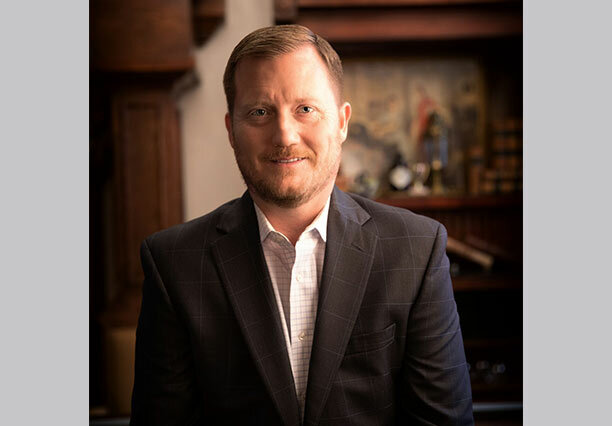 Greg joined Semper Capital Management in 2008 as the Chief Operating Officer and in 2010 became the firm’s Chief Executive Officer. In addition to leading Semper Capital, Greg serves on the Risk Management and Compliance committees. Prior to joining Semper Capital, Greg served as Founding and Managing Member of CP Capital Partners, LP. He previously served as an Associate Principal at McKinsey & Company in the Financial Services Group. Greg began his career over 20 years ago and served as a Captain and Infantry Officer in the United States Marine Corps. He earned an AB from Princeton University. Prior to joining Semper Capital, Greg served as Founding and Managing Member of CP Capital Partners, LP. He previously served as an Associate Principal at McKinsey & Company in the Financial Services Group. Greg began his career over 20 years ago and served as a Captain and Infantry Officer in the United States Marine Corps. He earned an AB from Princeton University. Major General David J. Scott retired from the United States Air Force on 1 September, 2009. Prior to retirement he served as Deputy Director, Center for Special Operations, U.S. Special Operations Command, MacDill Air Force Base, Florida. Major General Scott’s military career included duty as Deputy Commanding General, Joint Special Operations Command, Fort Bragg, North Carolina, and command of flying operations at squadron, group, and wing levels including Special Operations aviation units in Fort Walton Beach, Florida and the USAF C-130 flight training base at Little Rock AFB, Arkansas. Along with stateside postings General Scott served in Germany, the United Kingdom, Panama, Afghanistan, and Iraq. After retirement General Scott started, partnered with, or co-founded several companies and now owns Home Port Gallery in Apollo Beach and Bad Monkey Pub in Ybor City, Fl.. He is founder and President of Chinthé Consulting, Inc., contributes to several Tampa economic development efforts, and serves on the board of “Stay in Step” (innovative programs for spinal cord injury rehab), the “Brian Bill Foundation” (PTS, TBI, and chronic pain for veterans) the “Doolittle Institute” (facilitator for innovation at SOFWERX and AFRL), “All American Productions” (cultural and veteran event management) “@RISK” Technologies (cyber security), the “American Victory Ship” Maritime Museum (WWII vessel), and “UCANN” (medical cannabis research).